Samsung Galaxy Note 4 advances the expected specs in terms of processing power, screen resolution, optical image stabilization, and the stylus -- without ballooning to ever-larger proportions. What makes Samsung's 5.7-inch screen important is that it's Samsung's first to feature a Super AMOLED display with a "quad HD" resolution, meaning 2,560x1,440 pixels (four times as many as regular HD). These makes Galaxy Note 4 perfect for those who enjoy watching HD movies on a handset. However, same as other model of Samsung Galaxy series, one of the few drawbacks is that the Note 4 is not designed with a built-in DVD player or DVD-ROM, which means that you cannot play your DVD movies directly. If you have some movies on DVD discs and want to get DVD movies on your Galaxy Note 4 for amusement while on the go, you will find some useful information in the tutorial below to convert DVD to Galaxy Note 4 supported video formats. There is a number of DVD Ripping software available to help you convert DVD videos if you want to play them on Samsung Galaxy Note 4. These software programs vary, so you might be confused when you have to choose one. 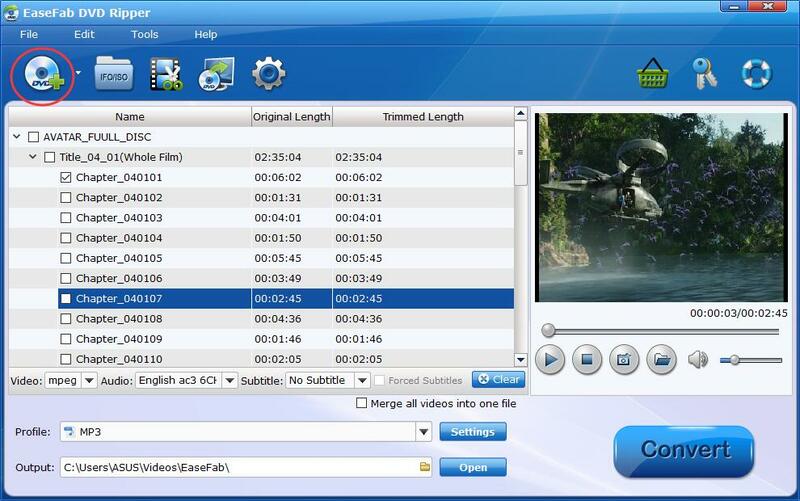 If so, you are recommended to use EaseFab DVD to video converter. It is rated as the best solution out there to watch DVD movies on Galaxy Note 4. 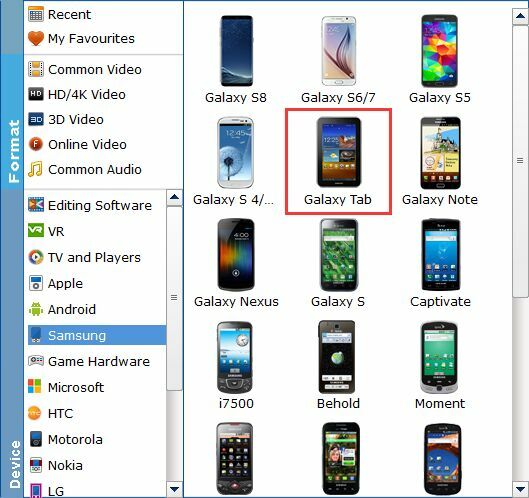 As a versatile DVD ripper for Samsung Galaxy, it can rip and convert DVD to Galaxy Note 4, Note 3, Note 2, Galaxy Tab S, Galaxy Tab 3 8.0, Galaxy S5, S4, etc. supported video format with fast speed and excellent output quality. In addition, this DVD ripping tool can also convert DVD to various popular video formats like AVI, MP4, WMV, MPEG, MOV, FLV, MKV, 3GP, etc. as well as rip DVD to optimized video for playback on iPad, iPod, iPhone, Aamzon Fire Phone, Kindle Fire HD/HDX, Zune, Creative Zen, Archos, iRiver, Blackberry, Xbox 360 and more. The tutorial here is taking the Windows version of DVD to Samsung Galaxy converter as an example to show you how to rip DVD step by step. First, you need to download and then launch the converter program. After that, you can load the DVD files and preview the added movies before converting. ISO image files and IFO files are also supported. You could also take snapshots while previewing. Next, select a proper output video format. this DVD converter provides the video profile for Galaxy Note 4 so you don't need to be bothered by what format to set as the output file format. By choosing Galaxy Note, you'll convert your DVD movies to videos with optimized settings to fit Galaxy Note 4. Once you do this, you can begin the process to convert DVD files to Galaxy Note 4 by clicking the Convert button. All the conversion tasks will be done at fast speed and you will get a high output quality. Once the encoding task completes, plug your Galaxy Note 4 into your computer using the USB data cable, then copy the file to /Root/Movies. In theory, the movie should show up in the Gallery app but we couldn't get it to appear consistently. Instead, we used the My Files app to go directly to the file location and launch it from there.